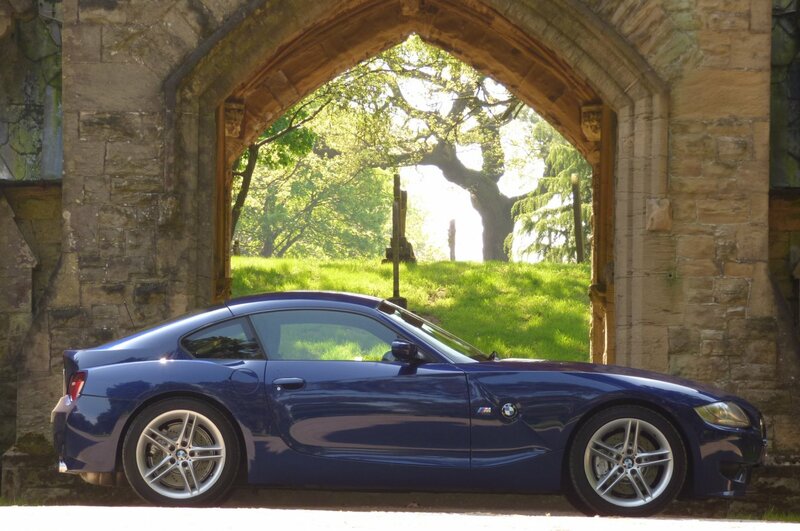 The First Generation BMW Z4 Or More Formally Known E85 Was To Replace The Much Loved BMW Z3 Predecessor And Was First Showcased As A Convertible Version To The World At The 2002 Paris Motor Show, With The Fabulous Coupe Model To Be Introduced As Part Of The Company`s Line Up At The 2005 Frankfurt Motor Show. 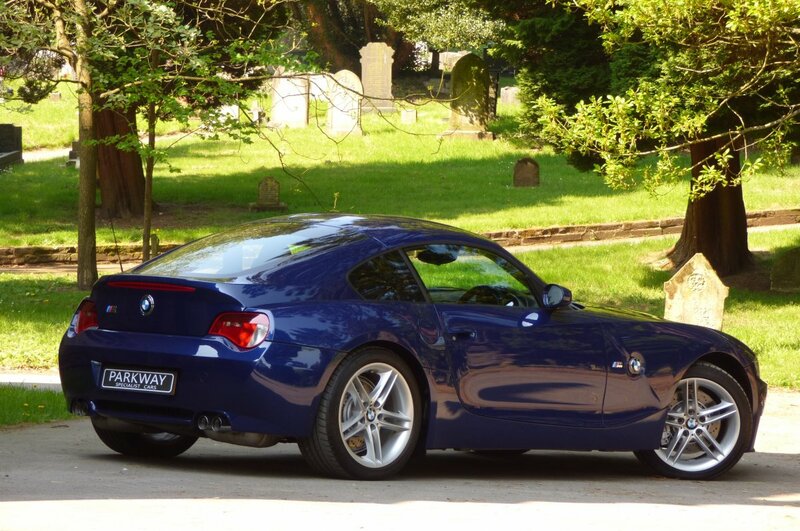 The Sculptured More Masculine Exterior Coupe Design Was The Brain Child Of Tomasz Sycha & Adrian van Hooydonk, With These Two Renowned Designers Taking The BMW Brand To An All New Dimension On Look, With This Body To Be Slightly Less Confrontational In Its Appearances Than The Mighty Z3m 'Bread Van' Original, But Still Would Have The Presence To Capture The Hearts Of The Purist Of Petrolheads. 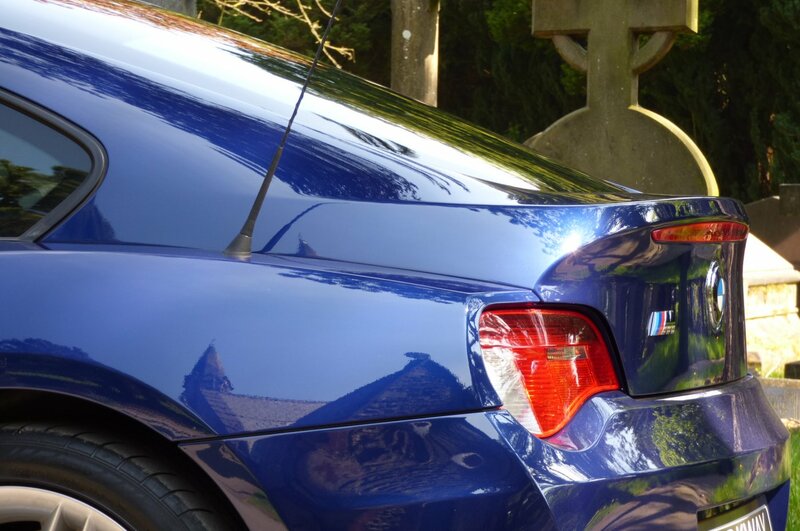 The Body Is Staggeringly Beautiful From Every Given Angle With Its Parallel Creases Along The Bonnet Continuing Over The Roof Line, The Dramatic Gorged Lines That Seem To Be Carved From The Sides And The Widen Powerful Arch Lines, All Made This A Truly Sensational Looking Vehicle, Which Was Only Further Enhanced With The Remarkable S54 Straight Six Engine. 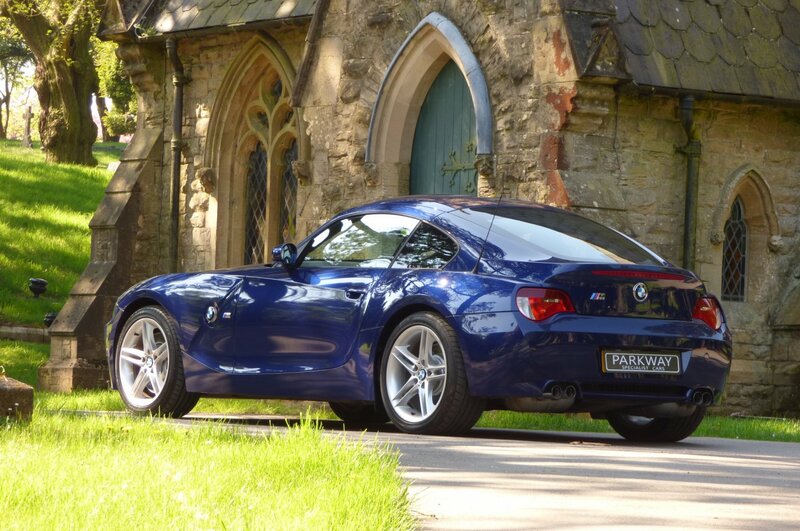 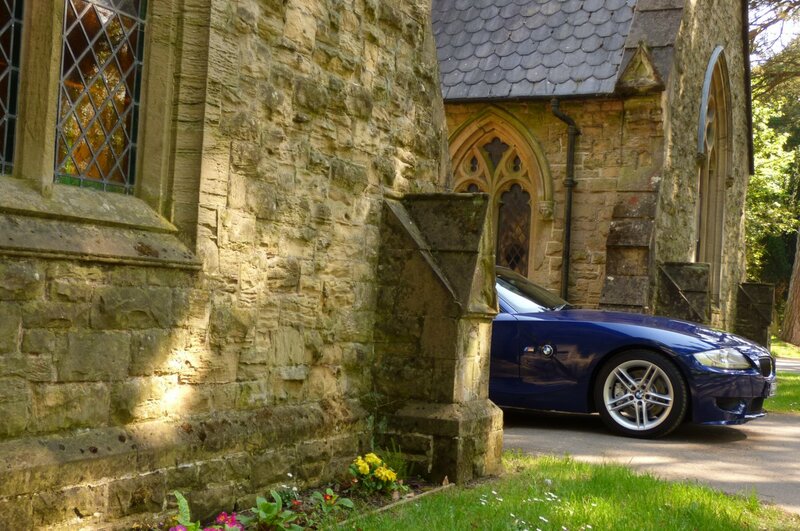 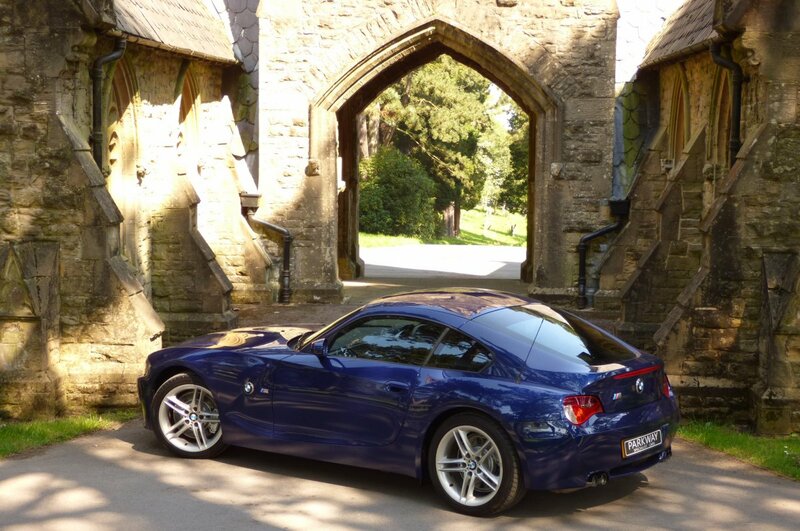 The BMW Z4m Came With The Three Point Two Litre Engine Which Packed An Ultimate Punch, Offering A More Than Healthy 338 BHP, Which Could Easily Propel Both Driver And Passenger From 0-62 MPH In Just Five Seconds And Would Further Climb To An Electrically Limited Top Speed Of 155 MPH, With Many Seeing This As Munich's Own Take On The TVR, But Without The Stress Of Having To Spend Hours Around On Hard Shoulders. 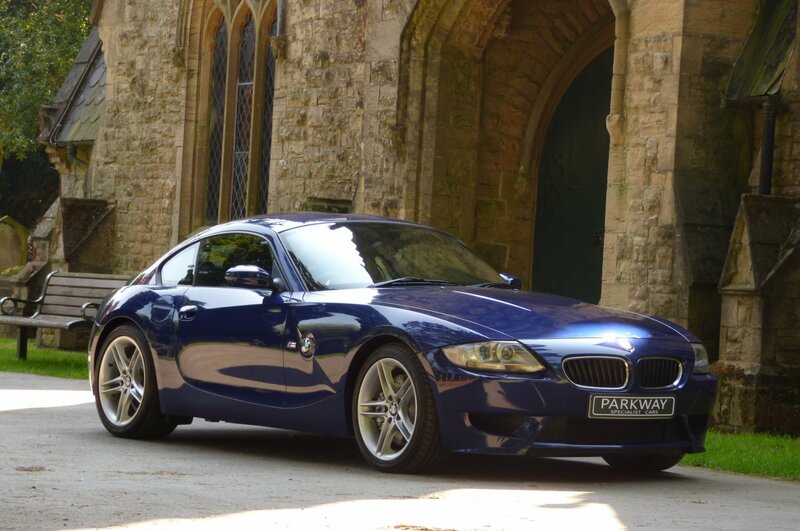 If We Fast Forward To 2018 These Vehicles Have Now Firmly Entered Into The Collectable Classic Sector, As Only A Mere 609 Examples Had Been Sold Into The UK From New, So With This The Opportunities To Acquire A Perfectly Presented Example With An Extensive Past History Trace And A Current Super Low Mileage Reading Are Few And Far Between, So Of Course We Expect The Interest Level To Be High, Considering That The BMW Z3m Coupe Has Climbed So Well On Values And Desirability. 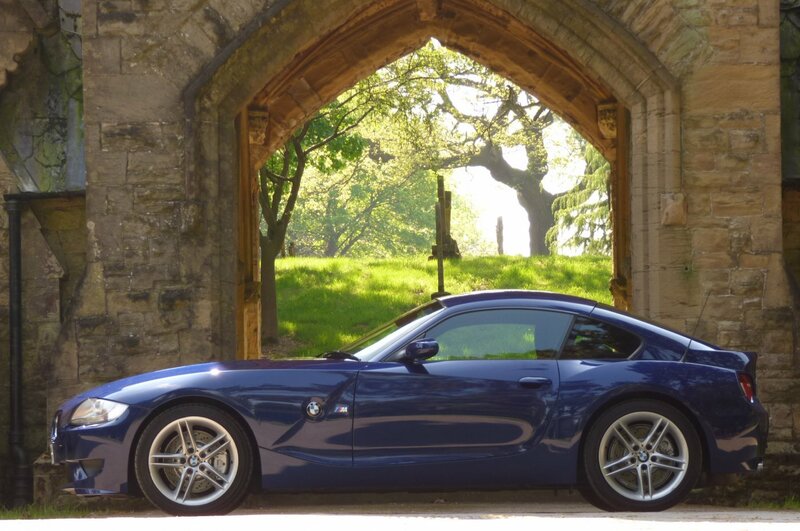 Chassis Number LF78570 Was First Supplied By Douglas Park BMW In The March Of 2007 And Since This Date Of First Registration Date Our Example Has Only Had Just 29171 Miles Applied Since New, Which If We Break This Down Further Is Approximately Just 2700 Miles Per Annum, However Regardless Of This Incredible Current Reading, The Vehicle Has Been Maintained To The Highest Of Standards With Past Historical Service Visits Logged At 1212, 12445, 24608, 27308 & 28841 Miles And Shows A Further 15125 Miles Before The Next Service Is Required. 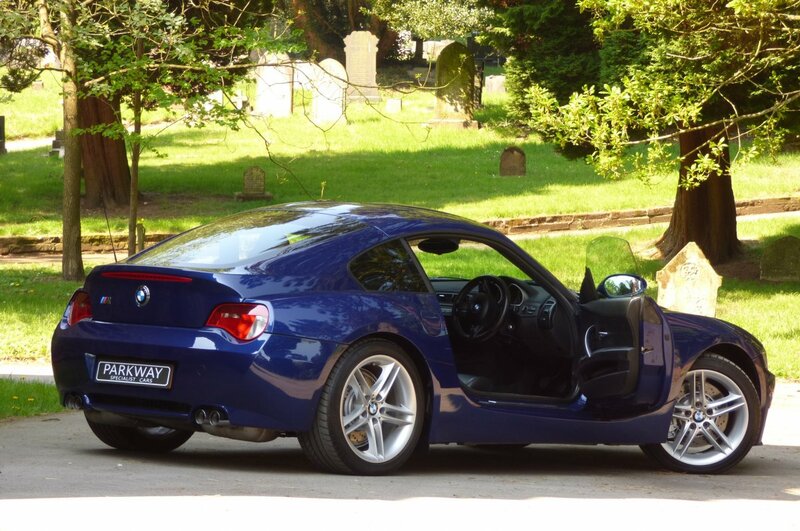 Once Sold The Car Will Be Presented To The Next Lucky Custodian With The Entire Booklet Pack Set, A Fully Cleared Hpi Certificate, A Fully Functional Key Set To Include The Grey Plastic Master Key And A Full Factory Build Card Which Lists All The Options Opted For From New, All Of Which Is In Place For The Next Person On Receipt Of Delivery. 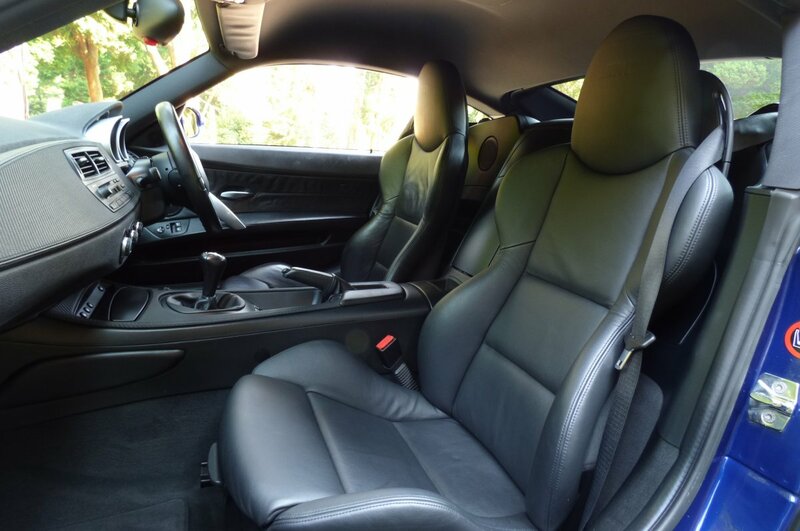 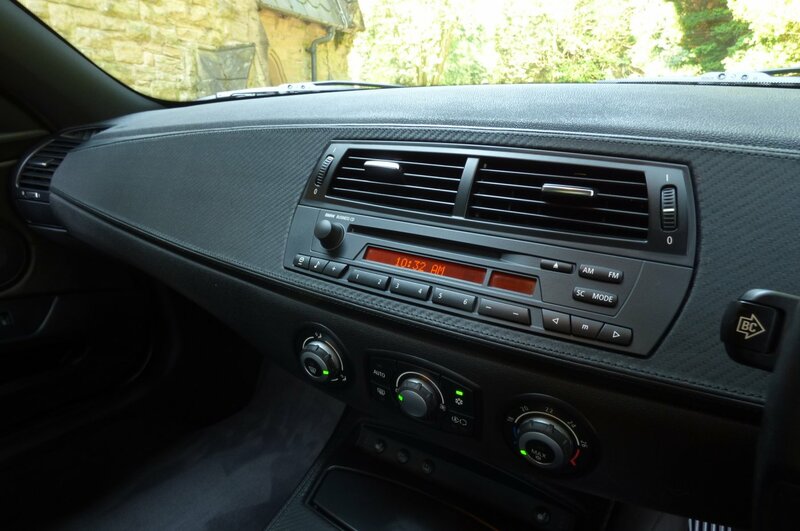 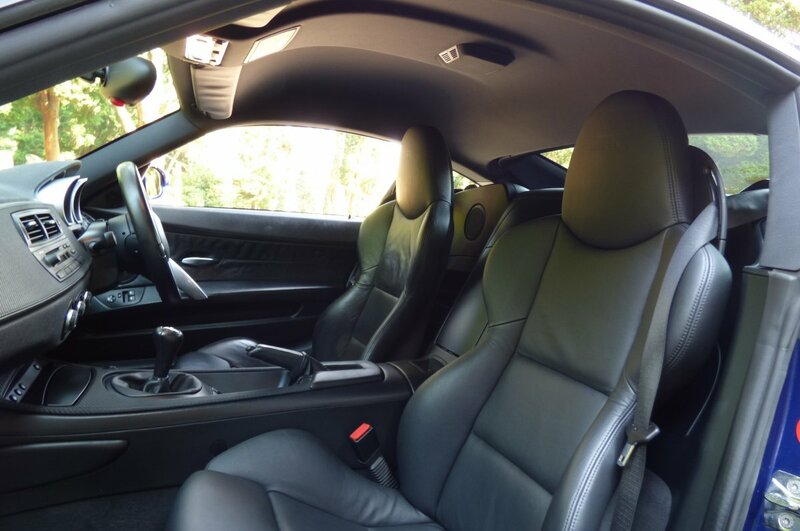 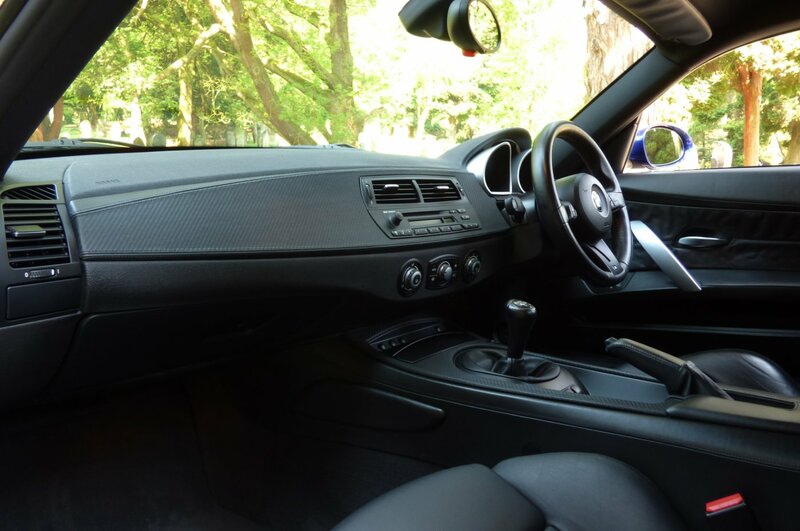 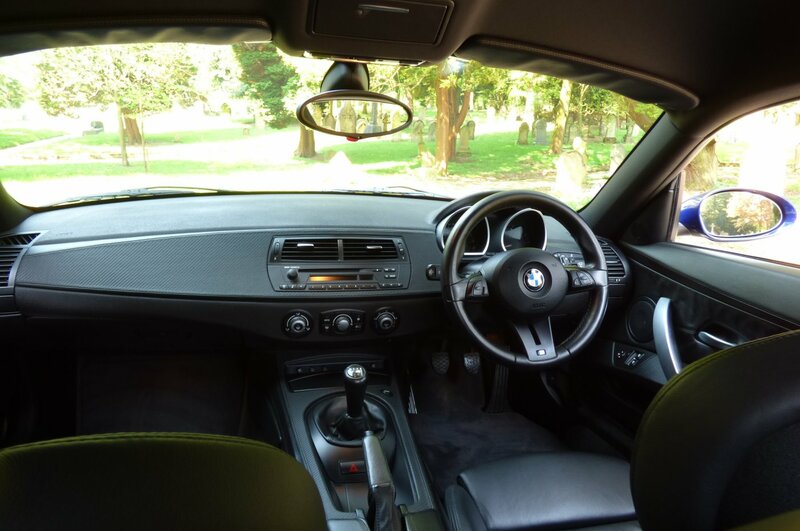 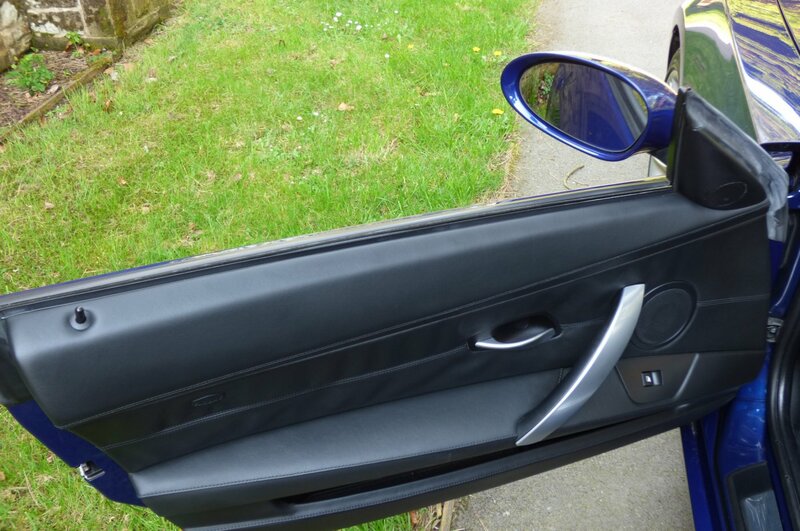 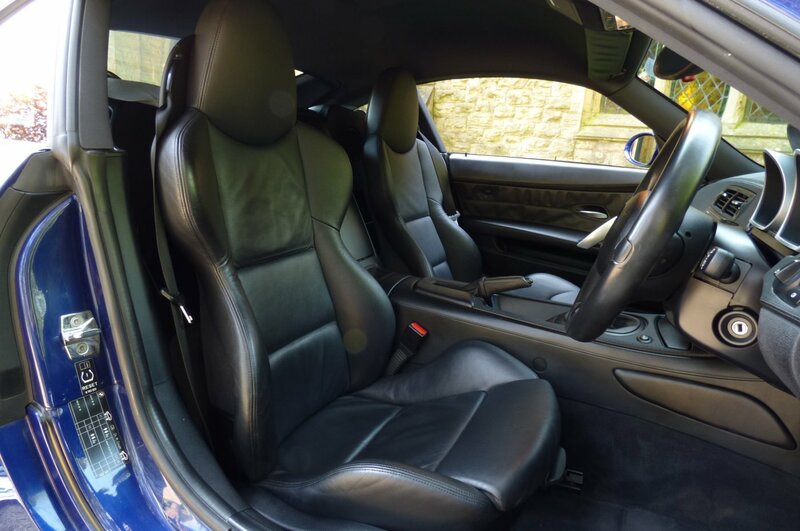 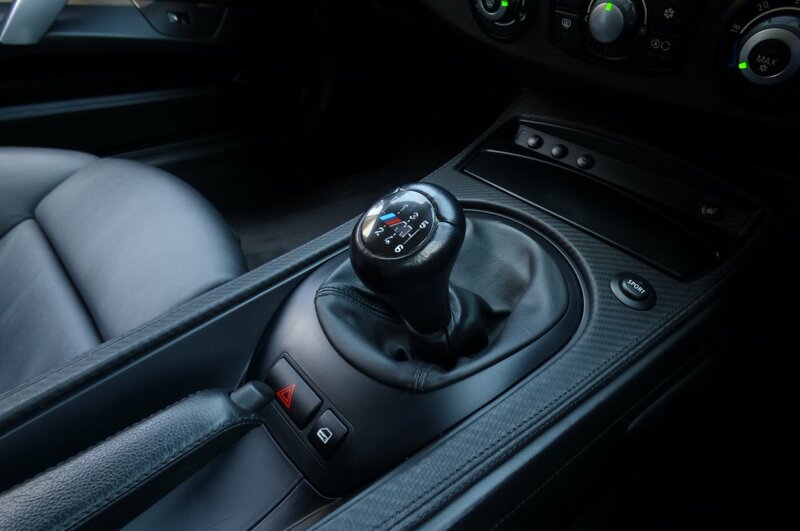 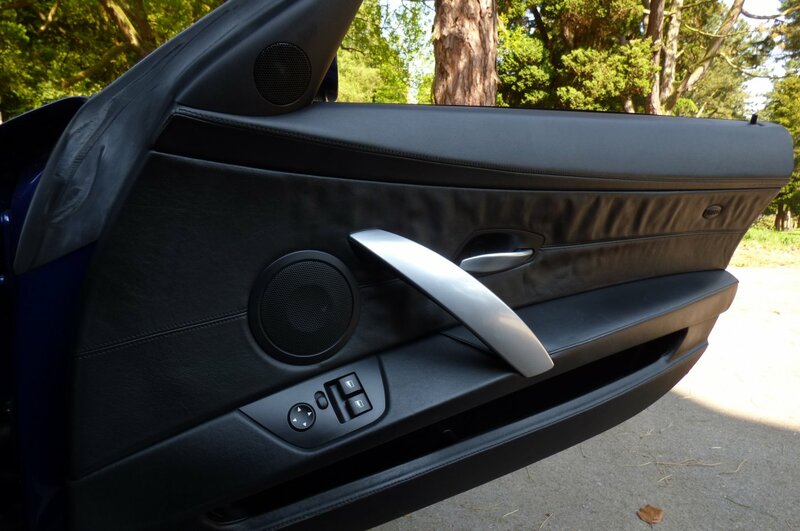 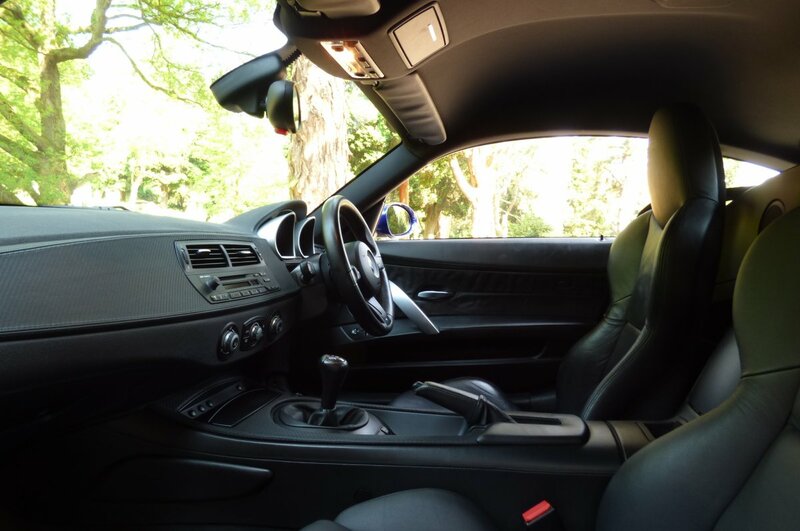 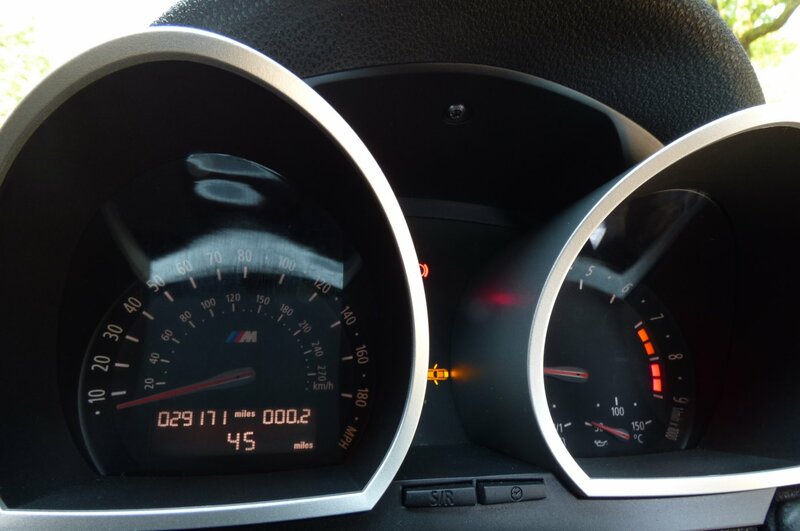 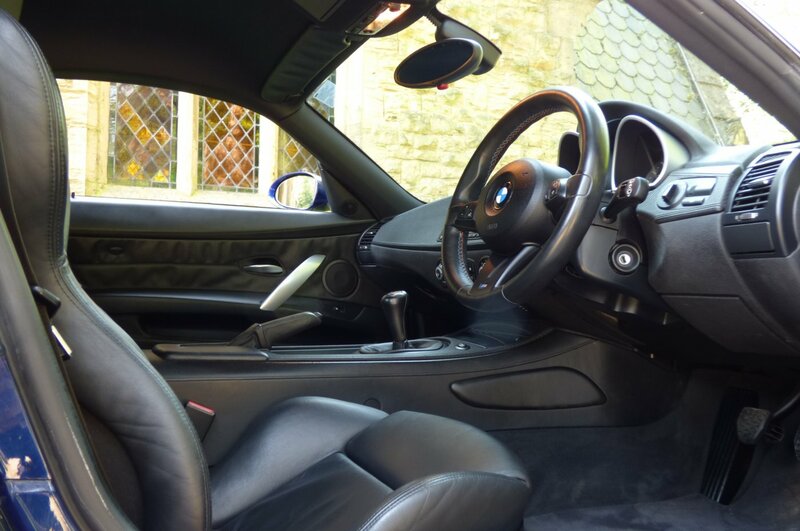 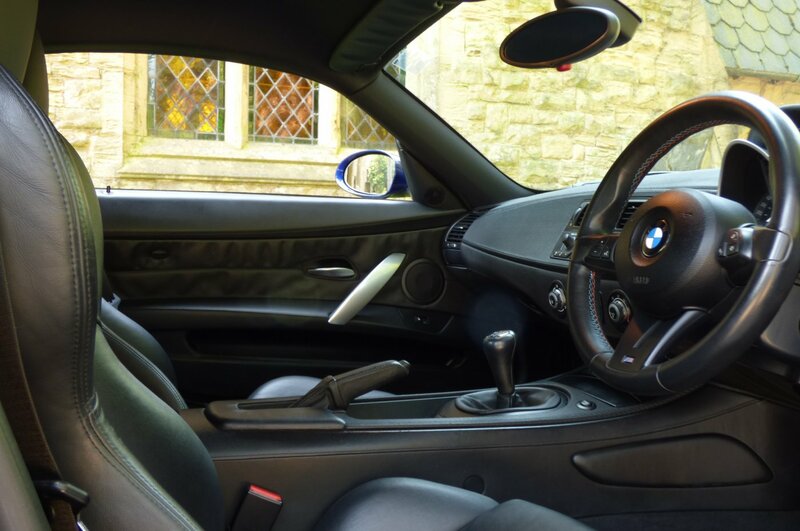 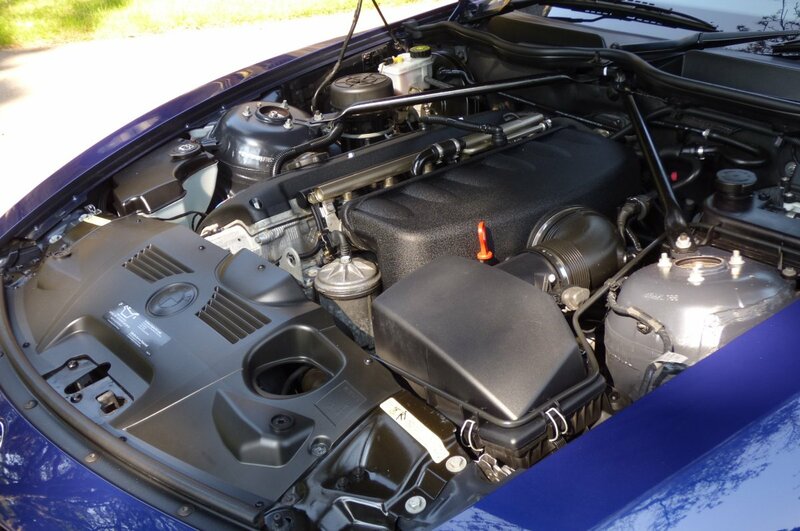 Inside The Z4m Coupe, This Two Seater Sports Car Offers Ample Space With The Perfectly Positioned Seating Which Guarantees The Direct Feel Of The Vehicle, Responding Quickly And Precisely. 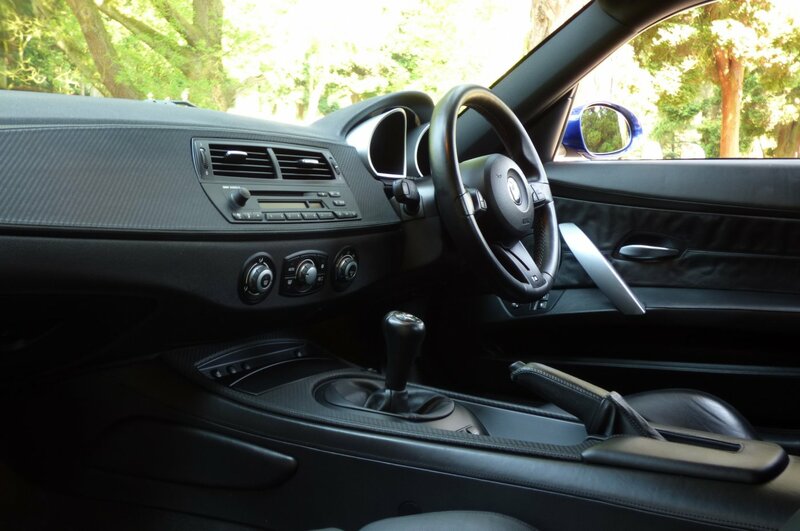 The Cabin Is Presented From Factory With The M Embossed Black Nappa Leather Sport Seats Beautifully Complemented With Black Twin Needle Stitch Detail, The Black Dash Detailed With The Carbon Fibre Inlays That Wrap Around This Dramatic Cabin Space, The Black Fabric Roof Lining, The Carbon Fibre Centre Drivers Tunnel, The Black Nappa Leather Trimmed Door Cards, The Black Carpets That Have Been Protected With BMW Over Mats, The Three Spoke M Steering Wheel Decorated With M Coloured Stitch And Finalised With The Chromed M Embossed Internal Door Sill Plates. 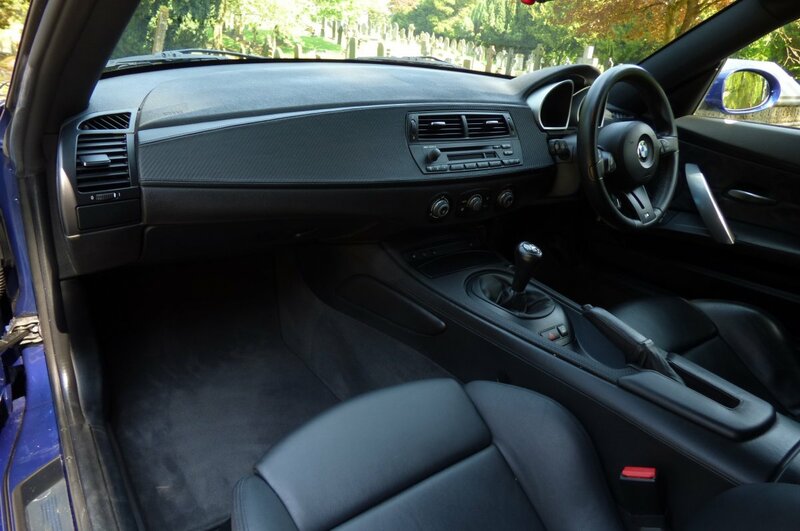 The Interior Offers Maximum Comfort, Teaming With Exciting Detail That Will Make Any Journey No Matter The Distance, Truly Special. 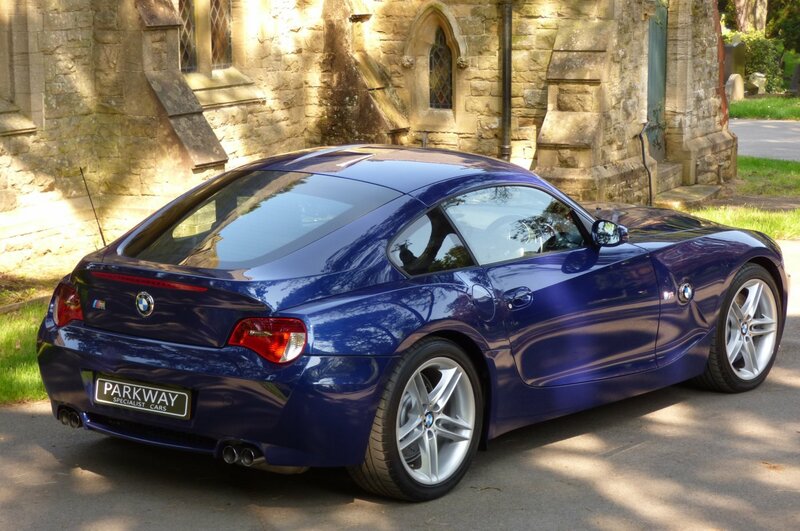 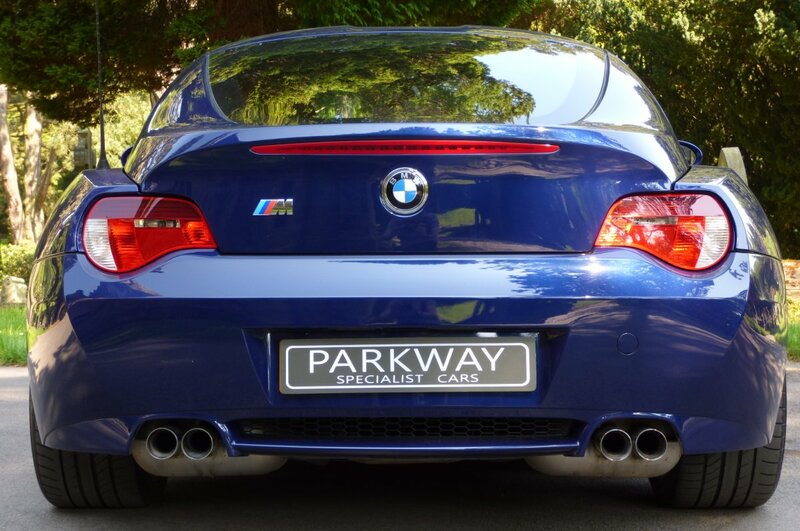 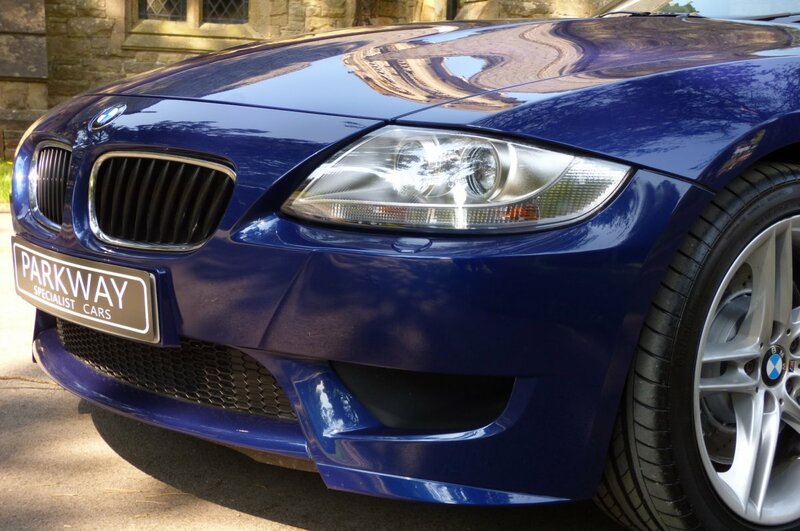 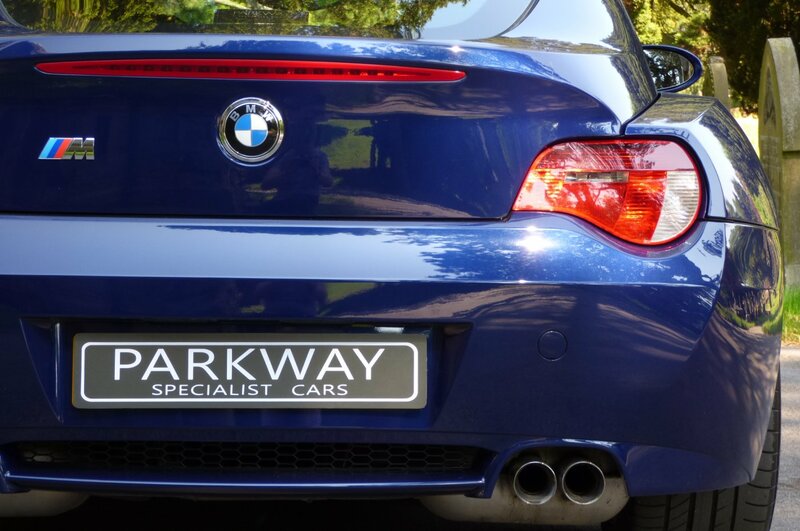 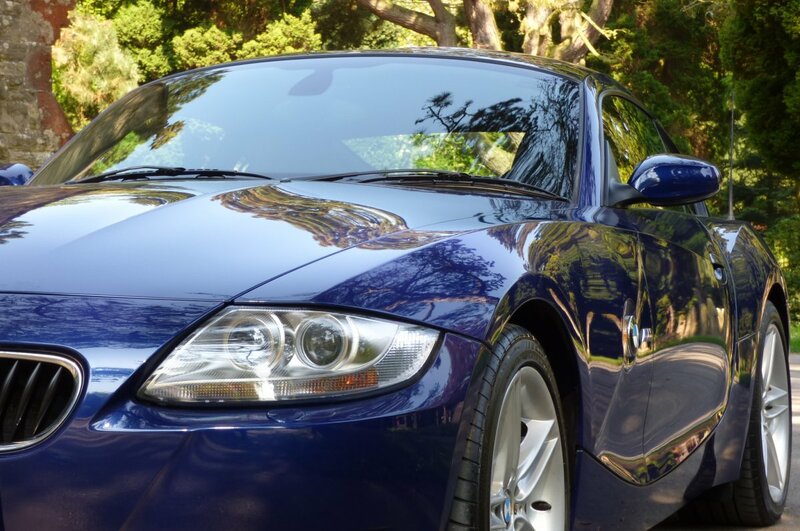 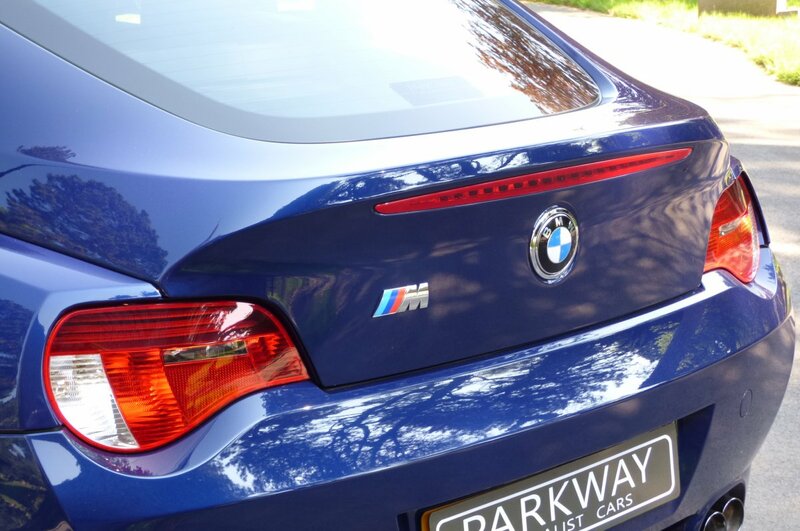 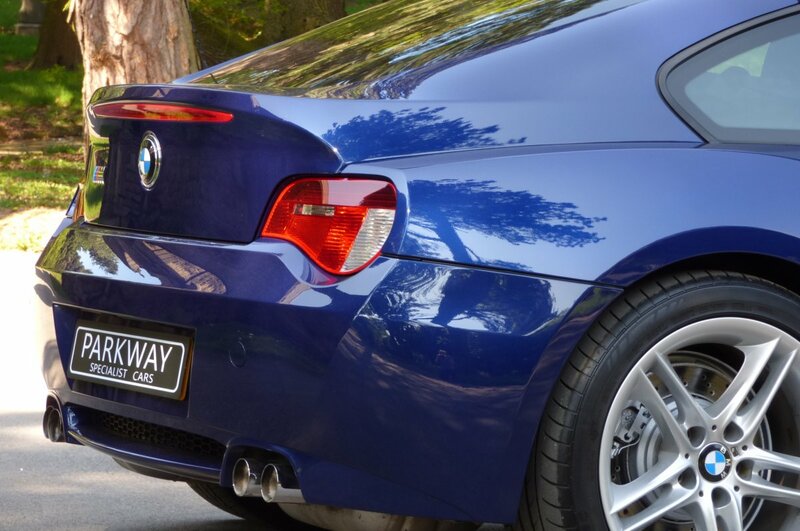 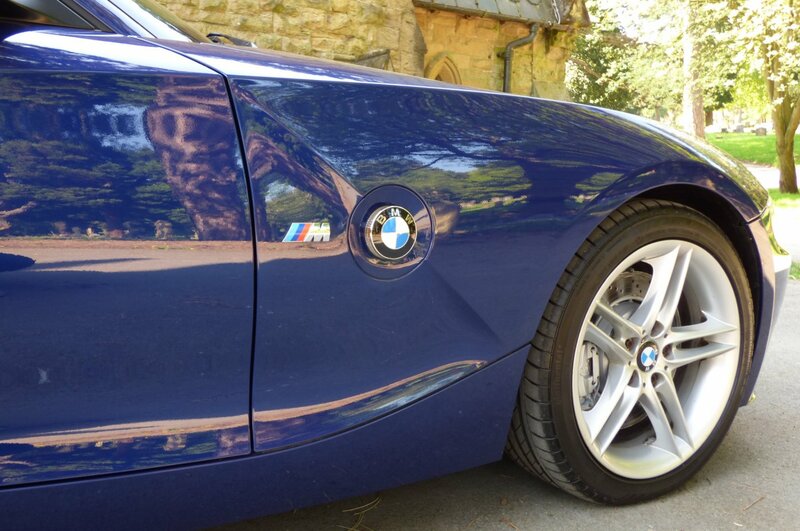 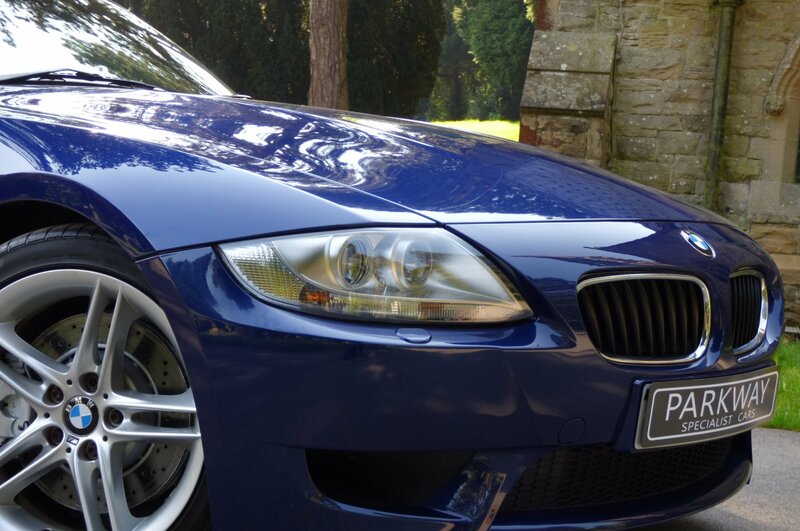 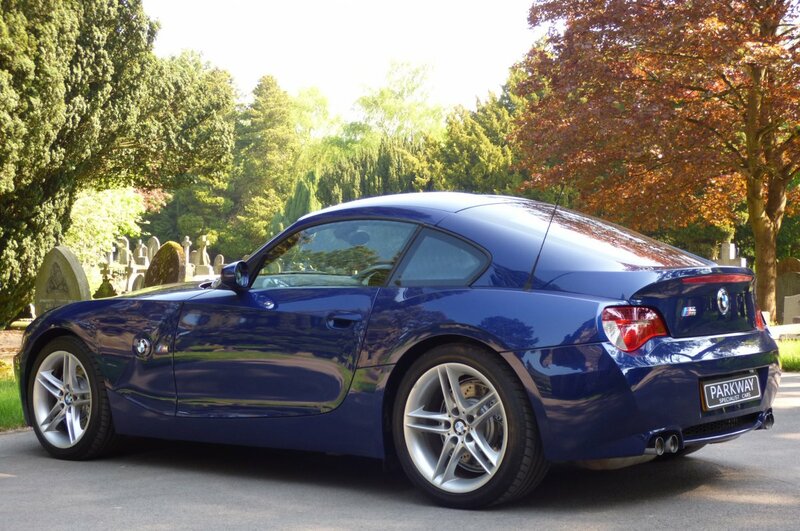 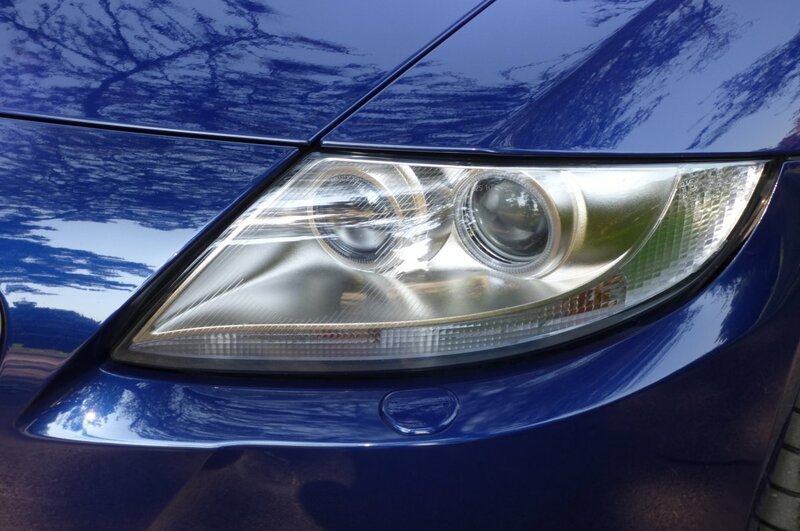 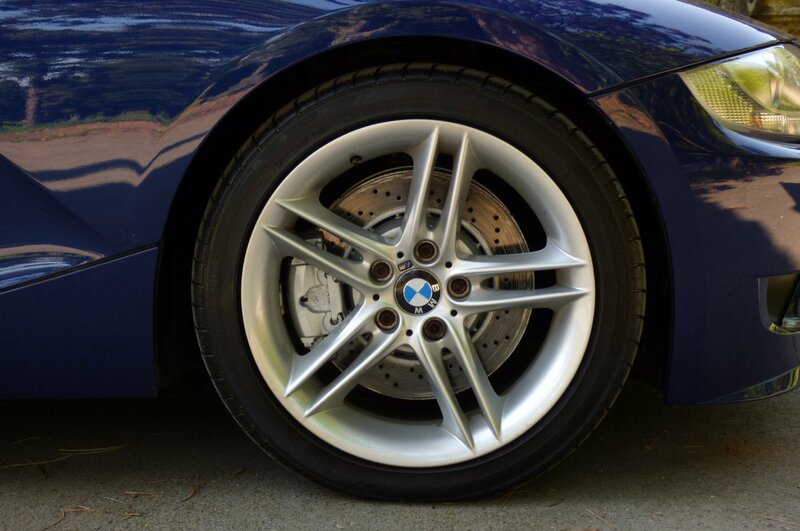 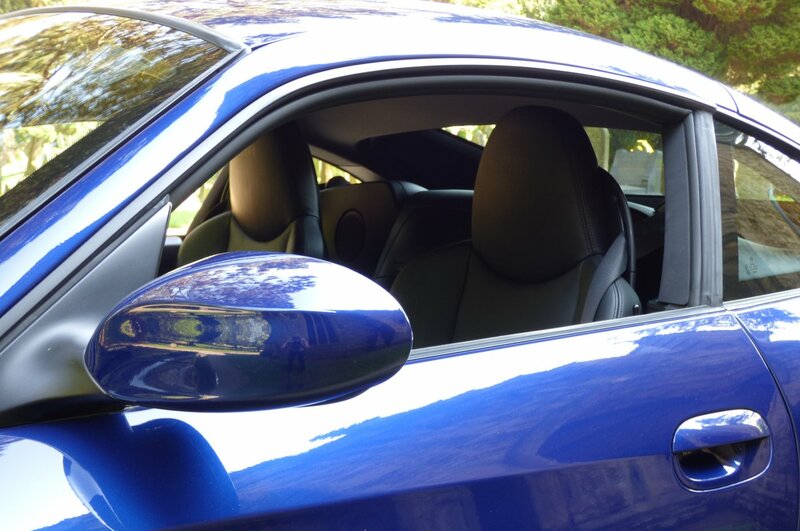 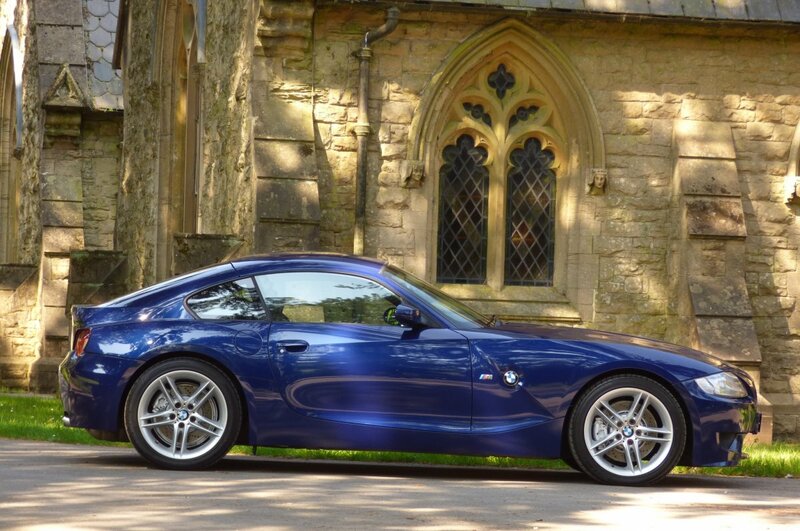 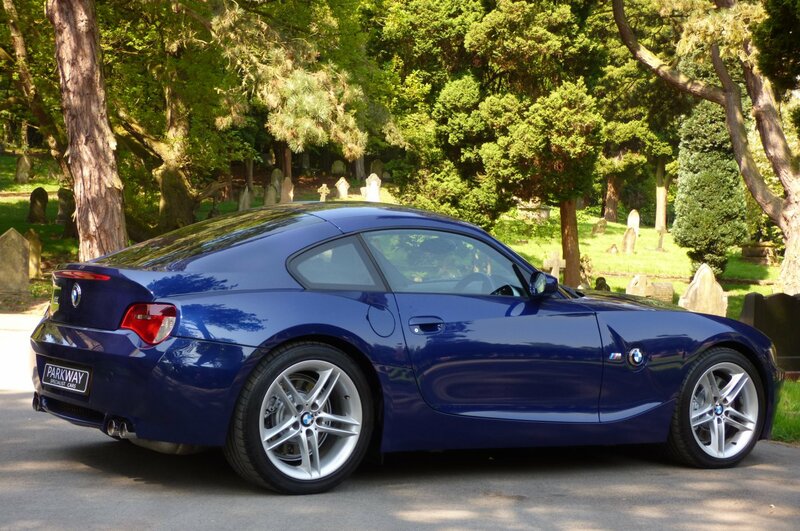 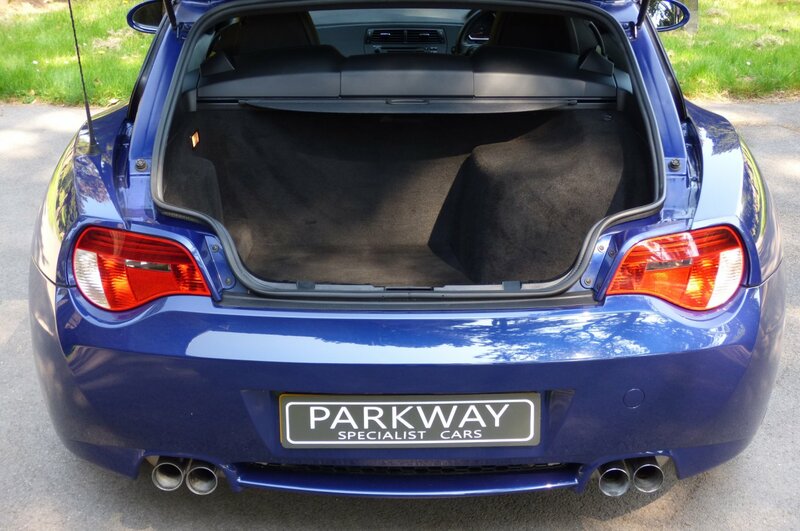 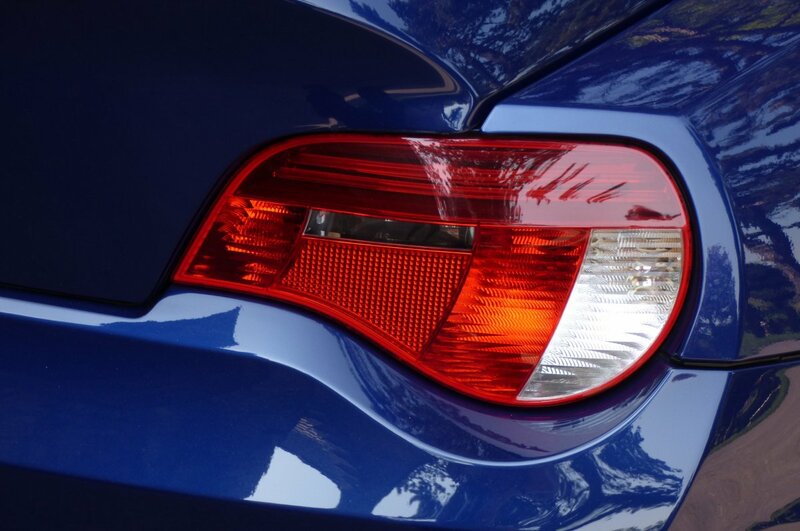 The Sculptured Body Is Presented In The Desirable Interlagos Blue Metallic, Which Perfectly Demonstrates The Aggressive M Curves, The Signature Carved Coupe Roof Line And The Sublime BMW Exterior Lines. 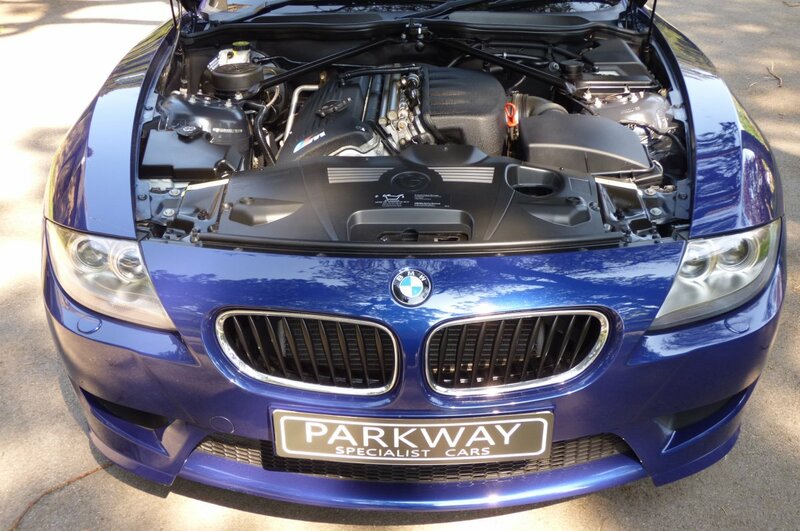 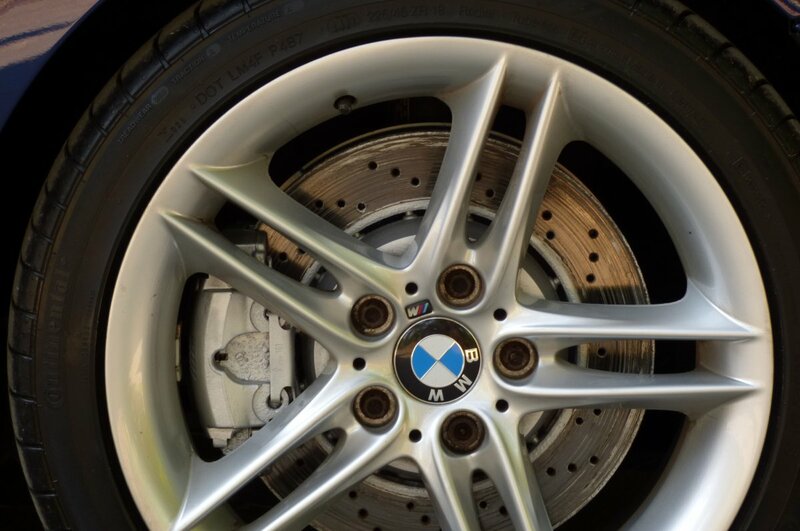 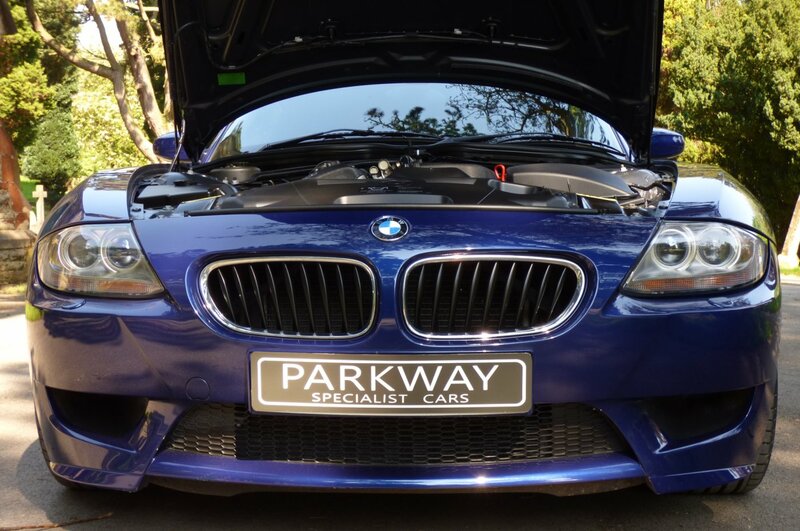 Further Detailing From Factory Is Presented With The Unmarked Silver Finished 18" M Double Spoke Alloy Wheels Which All Sit On Branded Tyres, The Side Indicator Lights Masked With The BMW Badges, The Chromed Tipped Quad Exhaust System, The Blackened Hexagon Lower Front Bumper Grille, The Matt Black Front Kidney Grilles Detailed With Chrome, The Bright Silver Brake Calipers, The BMW Badge That Dominates The Nose And Decorated With The Now World Famous M Motifs On The Boot Lid, That Finalise This Stunning Vehicle Stance. 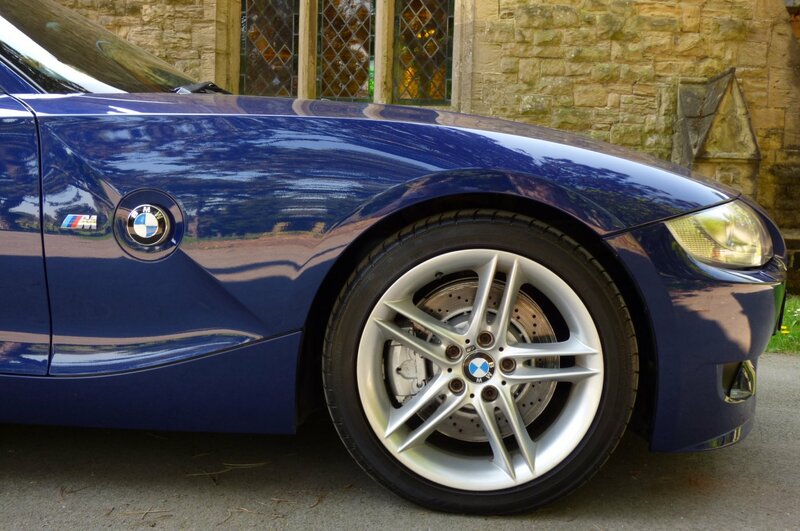 A Truly Perfect Example All Ready For That New Or Already Established Private Vehicle Collection, With Worldwide Shipping Available Upon Request. 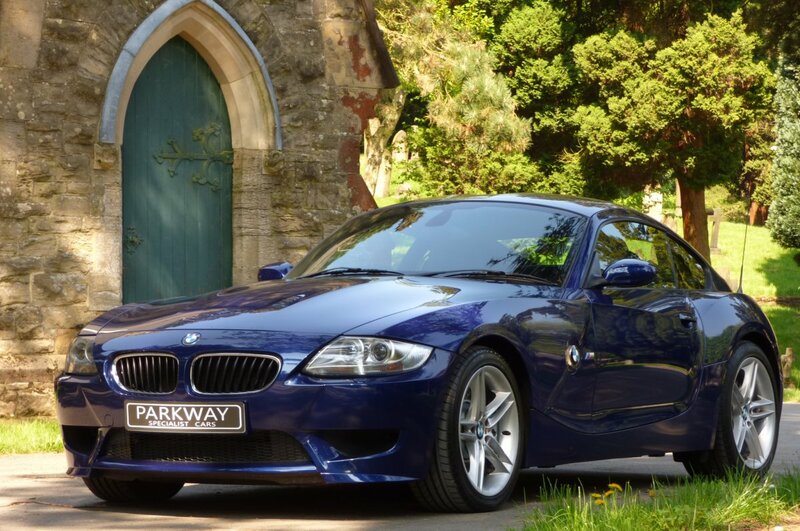 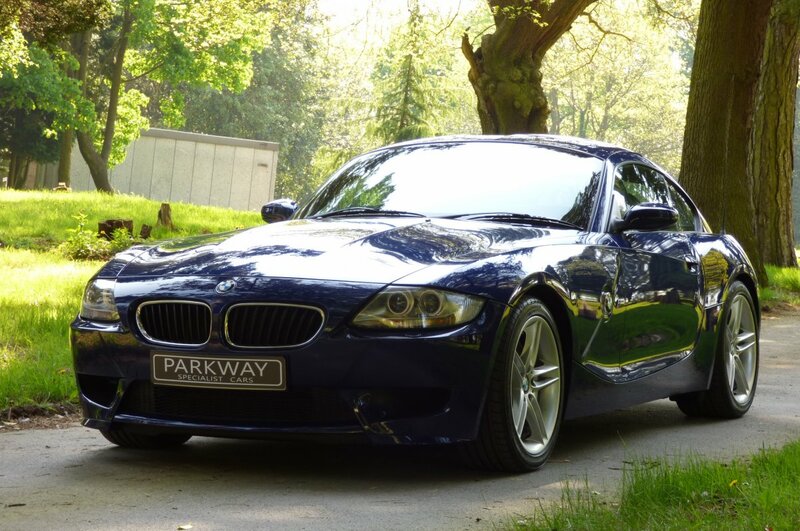 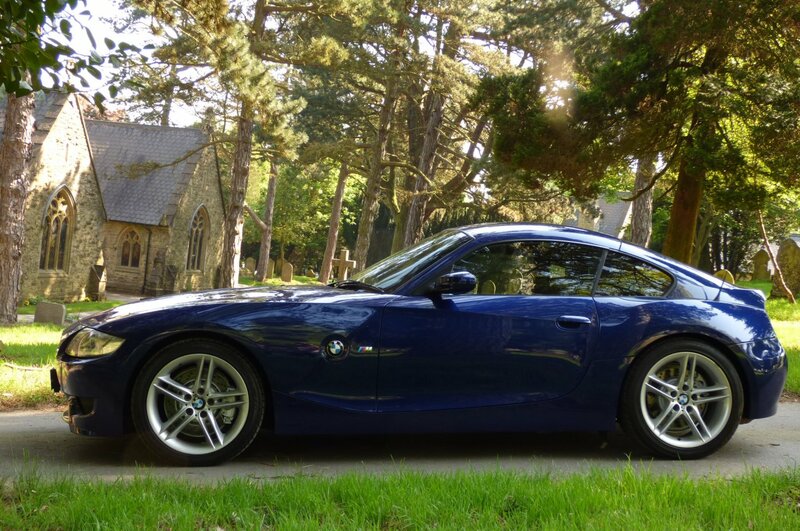 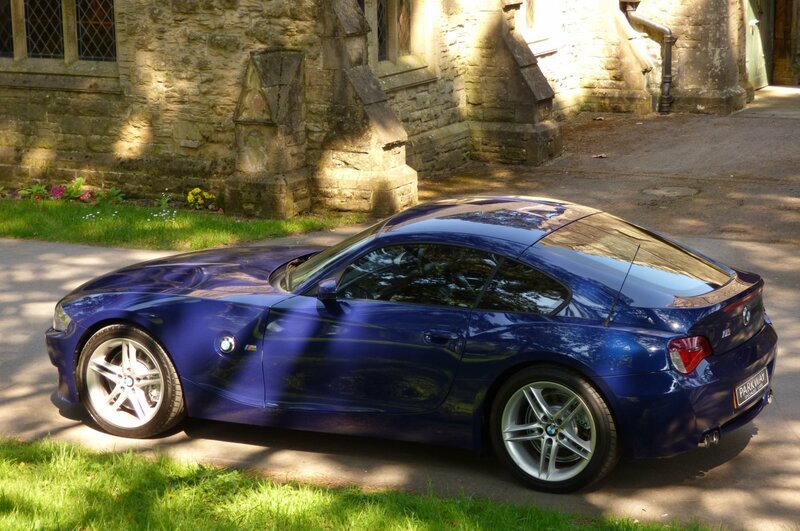 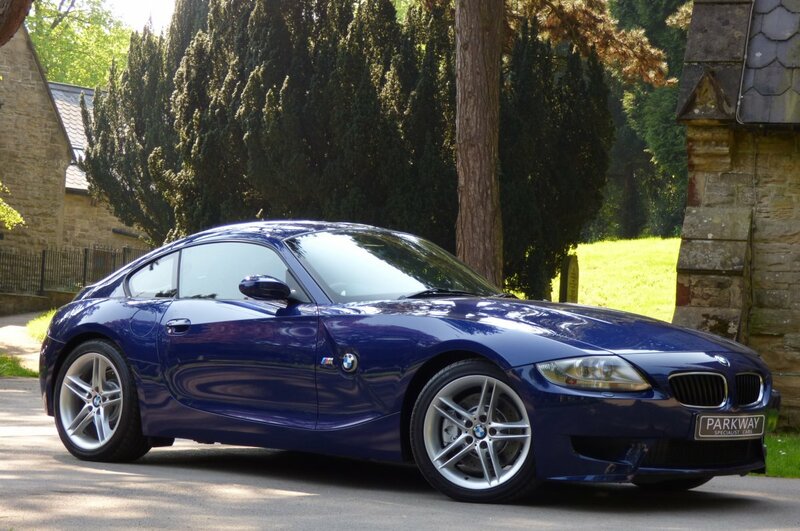 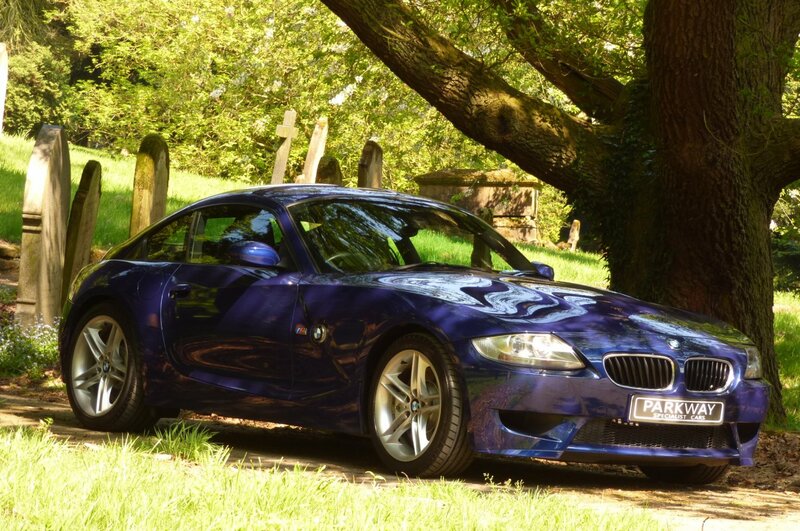 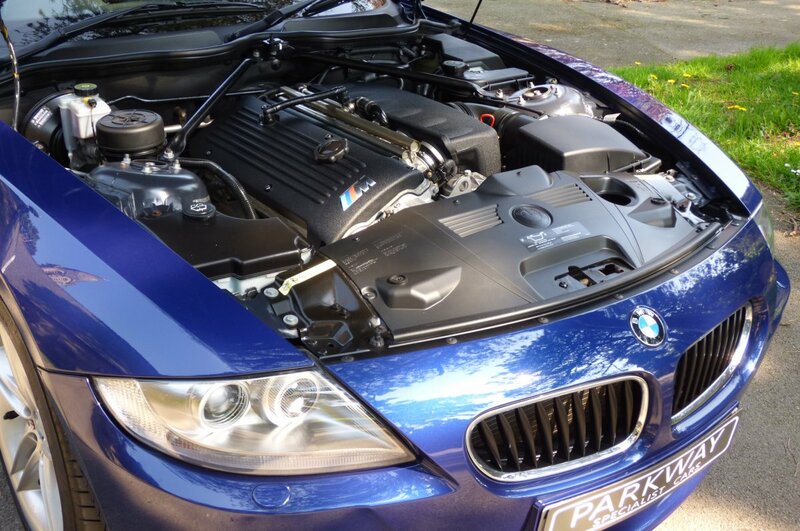 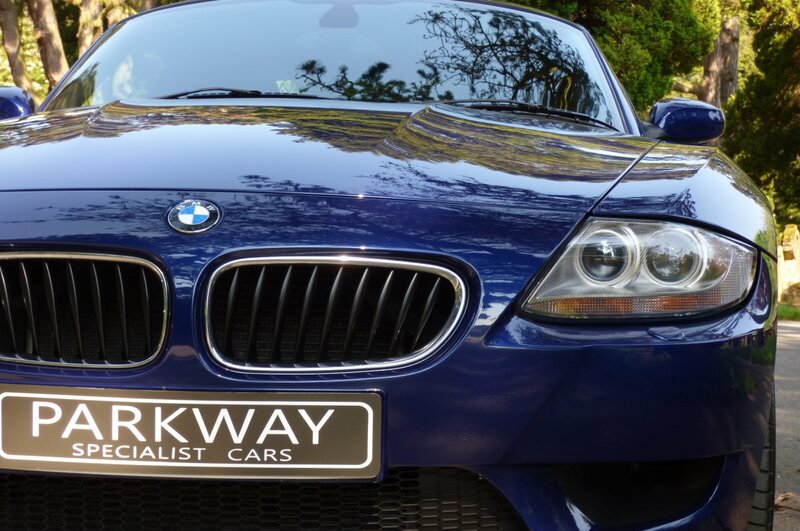 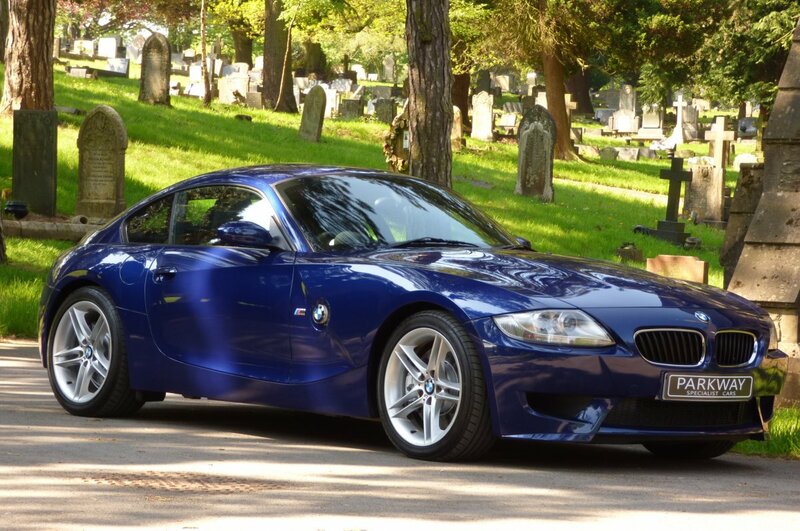 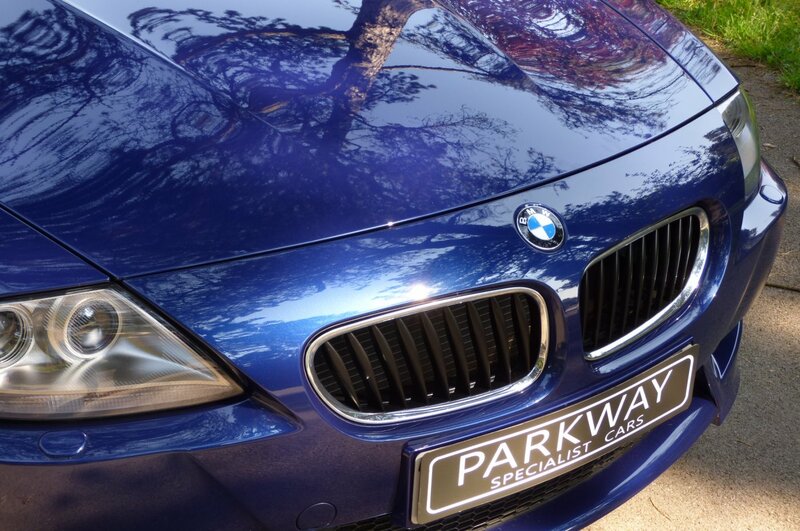 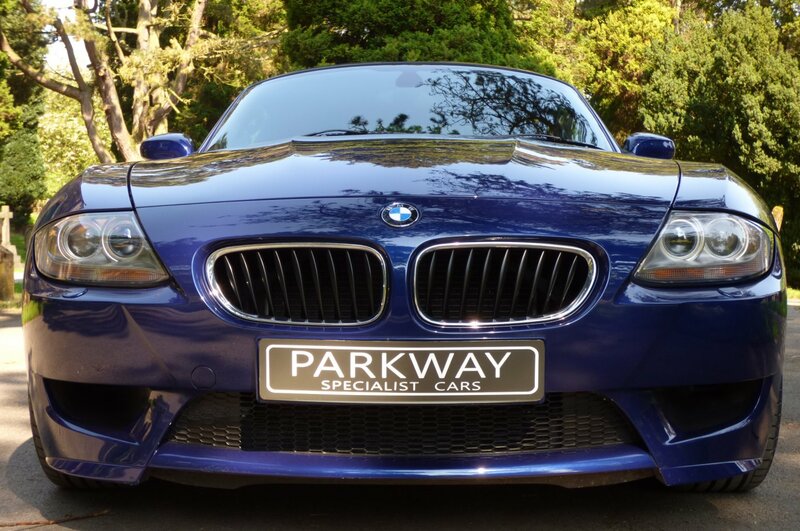 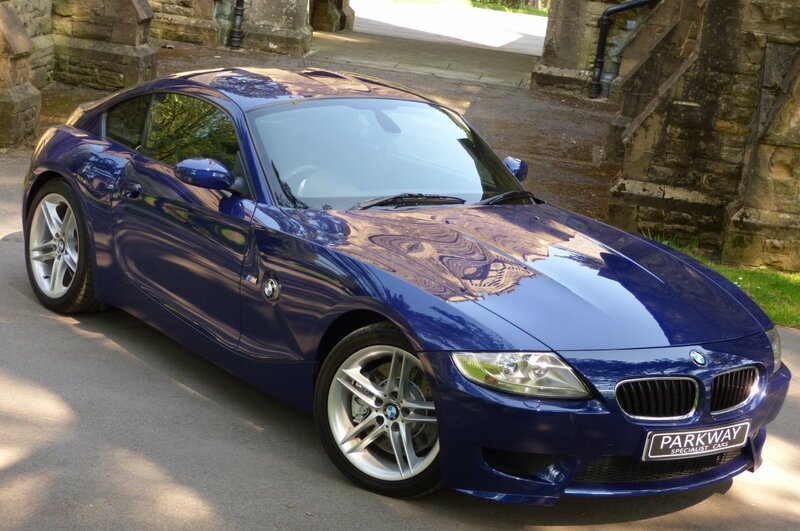 This Remarkable Example Is Presented In Stunning Total Condition And Comes With BMW Factory Options To Include Dual Climate Control, Unmarked Silver Finished 18" M Five Double Spoke Alloy Wheels Which All Sit On Branded Tyres, Chromed Quad Exhaust Tips, BMW Sport Mode, Variable Heated Front Seating, BMW Business Radio With CD System, Electric Front Seats With Driver Memory Function, Xenon Headlights With Power Wash Function, Remote Central Locking With Alarm, Automatic Light Package, BMW Trip Computer, Three Spoke Leather Bound M Steering Wheel, Chromed Internal Kick Plates Embossed With M Motifs, Electric Windows & Mirrors, BMW Vehicle Tracking, Interior Mirror With Automatic Dip, Rain Package, BMW Multi Speaker System And So Much More.  Presented For Sale With The Entire Booklet Pack Set, A Fully Cleared Hpi Report, A Fully Functional Key Set And The Original Factory Build Card.